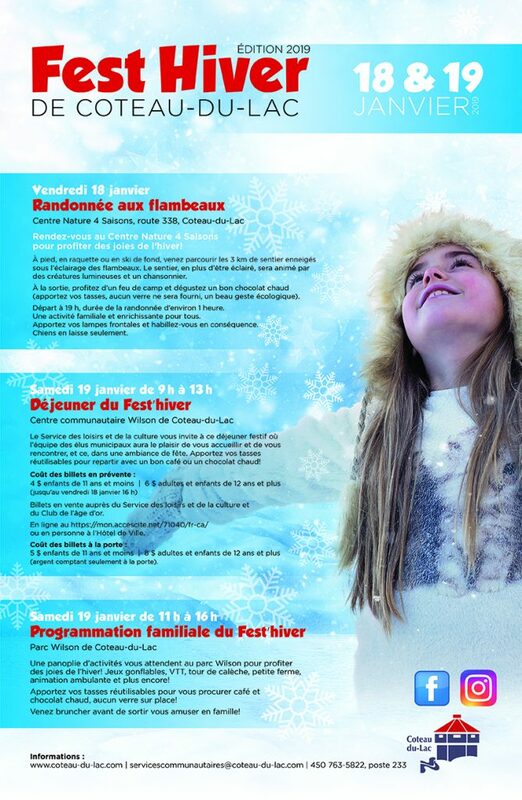 It is this Friday evening and Saturday that the activities will be held as part of Fest’hiver. Check out the complete program by clicking here. Get tickets for Saturday lunch by clicking here, or at City Hall during business hours. Come enjoy winter with us!